I need to warn you that it’s contagious… | Families for HoPE, Inc.
As a parent of a child with complex medical needs and the potential for recurring hospitalizations, the very last phrase we want to hear is, “it’s contagious”; however, when it comes to laughter, being contagious is welcomed and encouraged. Laughter is good medicine for a stressed-out, sleep deprived parent. When we laugh, we trigger the release of endorphins and serotonin—the feel good hormones that create the feelings of euphoria, love and happiness. As well as triggering endorphins, laughter also suppresses stress-related hormones in the brain, relaxes muscles, enhances respiration and circulation, and even oxygenates our blood, which allows us to think more clearly. 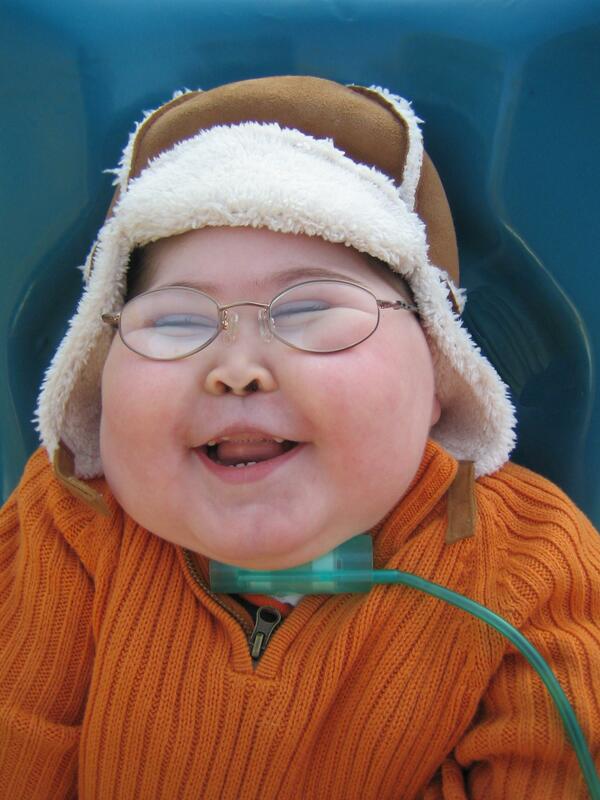 Throughout my son Sammy’s life, we laughed a lot. We said silly things, made silly faces, and sang silly songs. Sammy experienced seizures, and it seems ironic to me that even some of Sammy’s seizures presented as smiles and chuckles. His signature photo that puts a smile on everyone’s face…that big smile was a seizure. Six weeks after Sammy passed away, I was invited to a girls’ weekend. The girls were three other women who had also experienced the death of a child—two were HPE moms and one was the mother of a young man who passed after a life-long battle with cystic fibrosis. One of the ladies rented a log cabin for the weekend, and we made plans to meet there on a Friday evening. We all brought scrapbooks and photos of our kids, and for the first few hours, we looked at pictures and shared stories about our kids’ lives and our experiences. There were a few tears at first, but after a while, there was laughter…lots and lots of laughter. The kind of laughter that is contagious; the kind that makes your abdominal muscles get a good workout; the kind that makes you run to the bathroom for fear that you might wet your pants. The few days I spent secluded in a log cabin with those grieving moms confirmed to me that there was still HoPE even in the midst of my mourning. I had been infected with contagious laughter, and it was good medicine to my soul. Do you need some infectious and contagious laughter today? Amen, Leslie!! You are such an inspiration!